PESA is pleased to support the Texas Institute of Science (TxIS) as they host their annual industry luncheon “Long-Term Vision for Houston in Domestic and Global Energy Trends” on September 12. 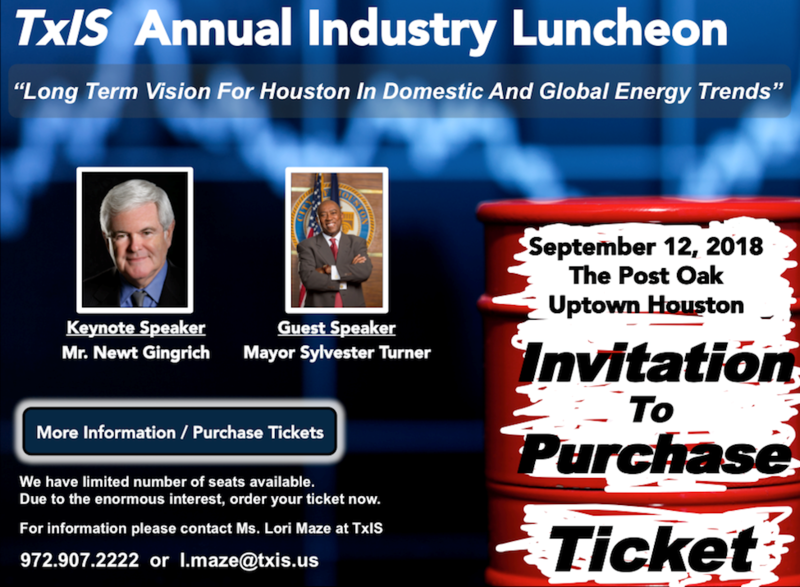 Keynote Speaker Newt Gingrich will address the impact of the U.S. midterm elections on the energy industry, and Houston Mayor Sylvester Turner will be a guest speaker. More information can be found on the TxIS website, and you can register here.